Mira Vista Place in Gilbert is a nice neighborhood of 105 single level homes. 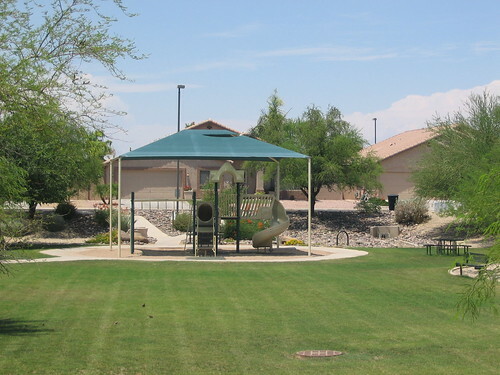 Within the neighborhood, there is a nice community park with green grass, walking path and a children’s play area. Many ( nearly half ) of the homes have swimming pools and three car garages. The lot sizes are nice and the location is quiet and convenient with many great restaurants, shops and things to do nearby. For a list of properties or to see any of the homes for sale in Mira Vista Place, please call Nick Bastian at 602-803-NICK ( 6425 ) or send an email to nick @ nickbastian.com and we will contact you very soon.